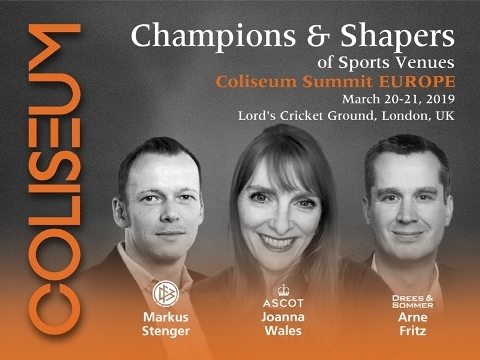 Coliseum – a top name in international stadium conferences – is returning to London with 40 top international names in the sports venue business as speakers at the latest edition of Coliseum Summit EUROPE on March 20-21, 2019. “Coliseum is excited to be in London again,” said Michael Rennschmied, the CEO of MJR Group, the organisers of the event. “The conference program is geared to not only meet the demands of the sophisticated stadium and arena business of Europe but also highlight on the contemporary issues concerning the sector,” he added. The keynote speech on the inaugural day will unravel the mantra behind German Football Association’s (DFB) successful bid for UEFA Euro 2024 and will be delivered by Marcus Stenger, the head of the DFB’s team that made it happen. Among the other major presentations, the Romanian Football Federation will offer an overview on many new stadium projects in the country. The summit will also highlight on the forthcoming FIFA events and on security issues, which has become a major concern for the industry, particularly after the shocking attack on Stade de France in Paris. Over 240 venue specialists from 25 countries are expected to participate at the summit. “This is the biggest attendance for the European edition of Coliseum so far. 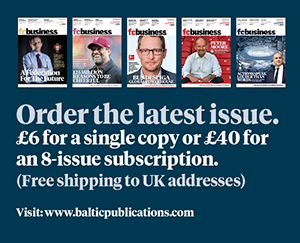 The delegates as well as speakers are from very well-known clubs and venues and represent a range of new and under-renovation stadium projects,” Rennschmied said. “Stadium and arena industry should look across the border and learn from other segments, like an Open Air Festival,” he remarked emphasising how Germany’s Wacken Open Air, dubbed as the mecca of heavy metal and hard rock music festival, has emerged as a “great development of customer experience and diversification of products in the last 30 years”. Participating delegates will also get unique ‘behind the scene’ experiences through venue tours that would include the famous Lord’s Cricket Ground on March 20. Another tour is being planned for March 19, a day ahead of the start of the summit. Conceived and executed by the MJR Group, Coliseum is dedicated towards building the best global community of sports venue executives and professionals.